I don’t know about you guys, but these past few weeks have been pretty stressful; what with studying for exams, writing papers, and preparing for UFG’s Innovation Fashion Show . This hasn’t been very good for my immune system, and if you’re as busy as me, yours probably isn’t doing too well either. 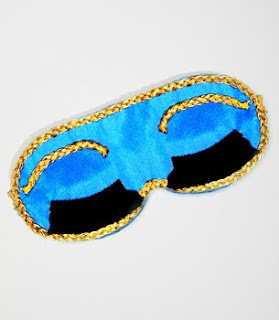 Fortunately for you, I’m here to help you look fashionable while you’re passed out in a fever-hazed delirium. I know it might seem counter-productive to your social/academic life, but I can’t help you fight through illness with fashion if you’re not sick in the first place. Any disease is fine, as long as it isn’t life-threatening. Look, I don’t know your lifestyle. Just get sick, okay? Betsey Johnson’sPJ sets always make me feel so feminine and comfortable! I love the idea of wearing a cotton romper as sleepwear. This nautical one from Pixie Market is adorable! 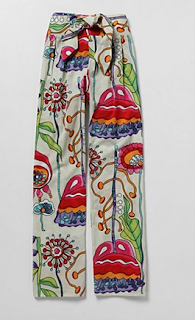 Or wear an ribbed tank top with a pair of graphic print knit pants! Anthropologie has a great selection. 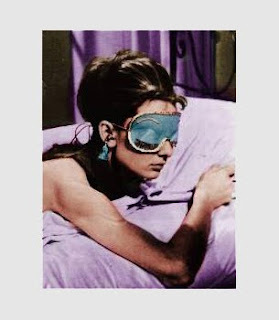 Breakfast at Tiffany’s reference, anyone? 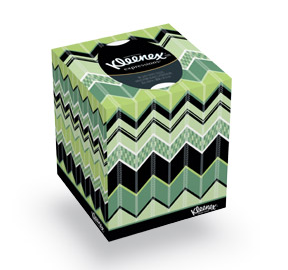 Kleenex channels Missoni. Everyone wins. ..... in a cute mug, of course. Sure, it sounds flippant, but if your mug makes you smile then it makes being sick that much more bearable. 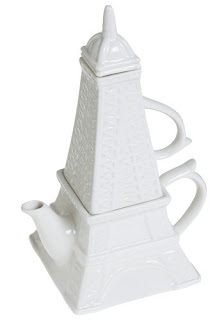 A tea set that stacks to look like the Eiffel Tower? I just died. 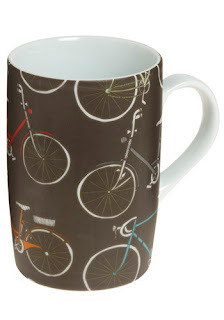 The vintage bicycle motif is great for guys and girls! Both from Modcloth, here and here. This one’s serious. My advice has helped you look fab, but I can bet that you don’t exactly feel fab. Don’t stress yourself out too much. Your immune system needs all the help it can get! Just take some medicine, eat some soup, get some sleep, and read plenty of fashion blogs and you should be good to go in a couple days!